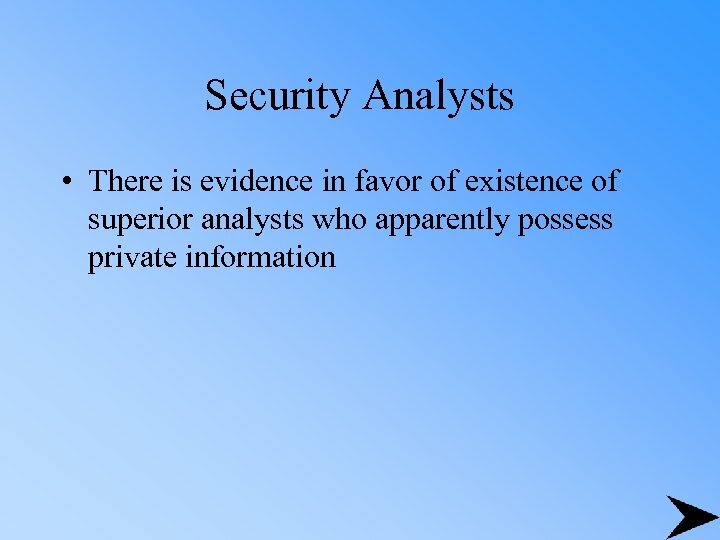 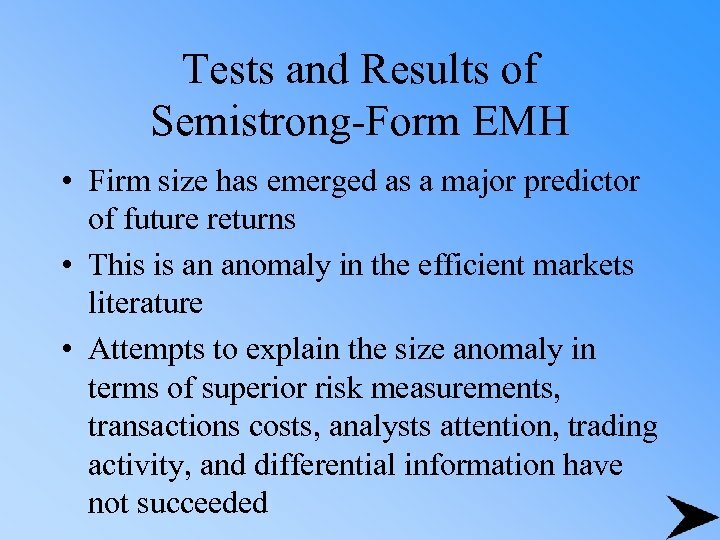 Tests and Results of Semistrong. 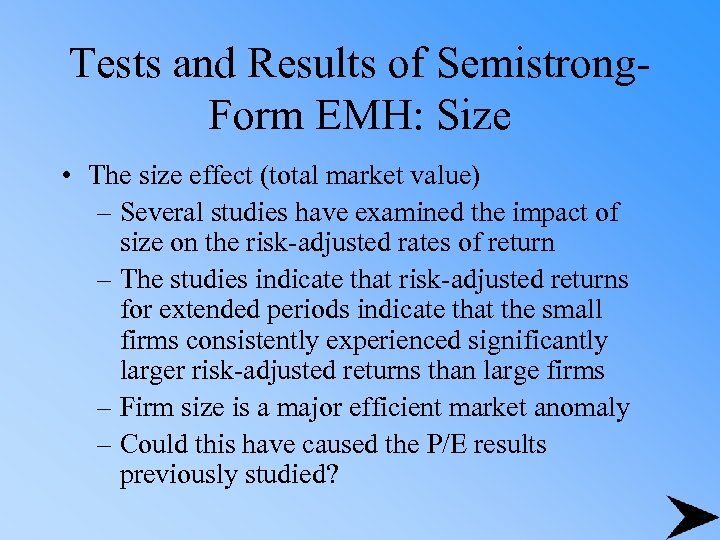 Form EMH: Size • The size effect (total market value) – Several studies have examined the impact of size on the risk-adjusted rates of return – The studies indicate that risk-adjusted returns for extended periods indicate that the small firms consistently experienced significantly larger risk-adjusted returns than large firms – Firm size is a major efficient market anomaly – Could this have caused the P/E results previously studied? 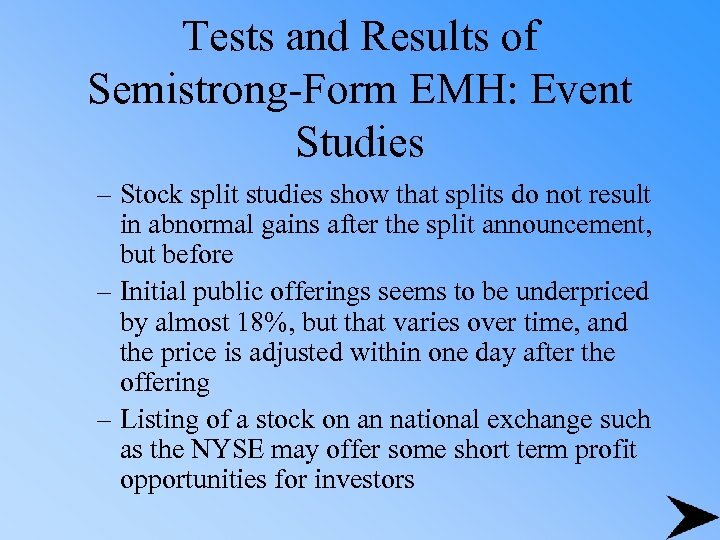 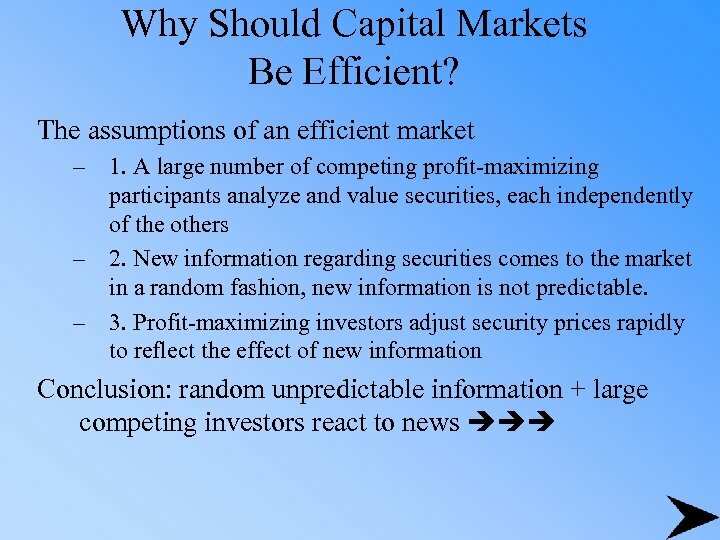 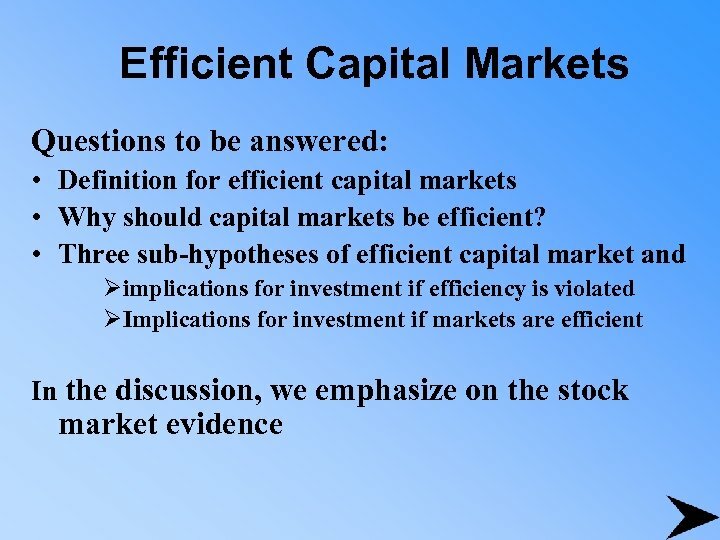 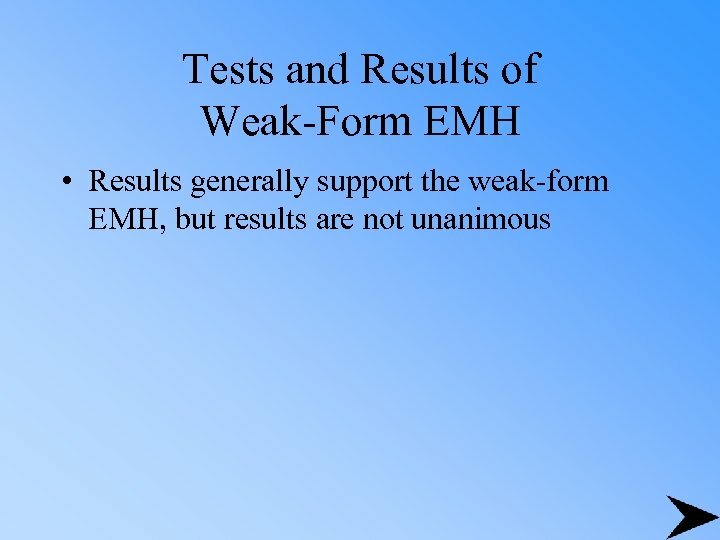 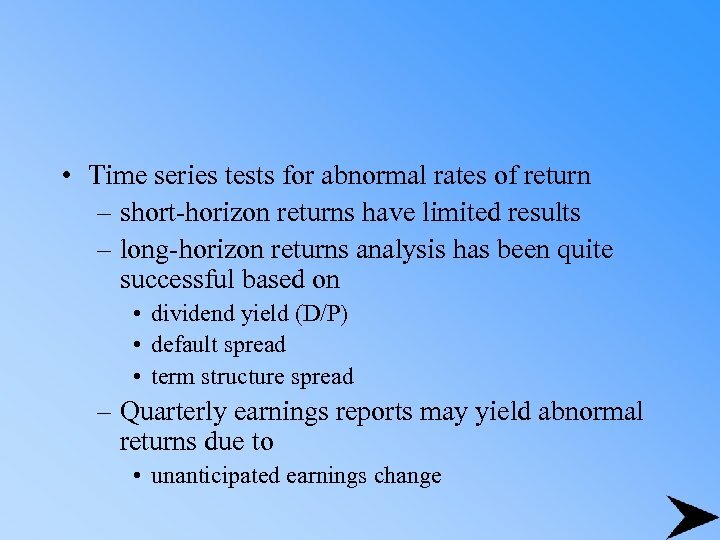 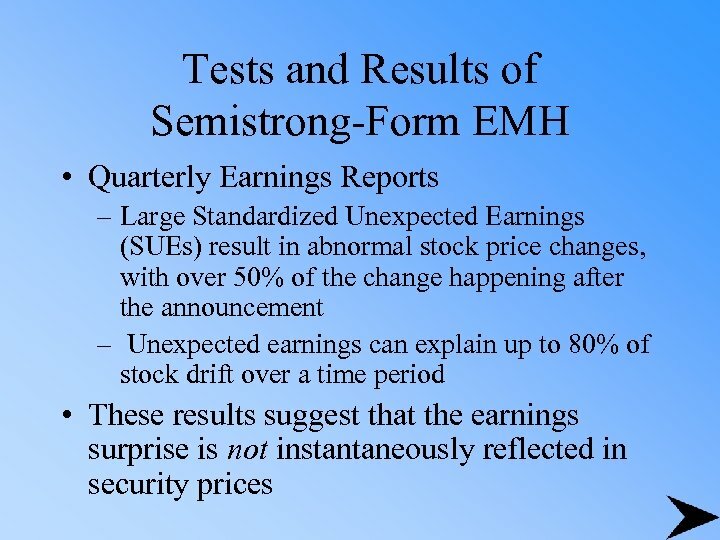 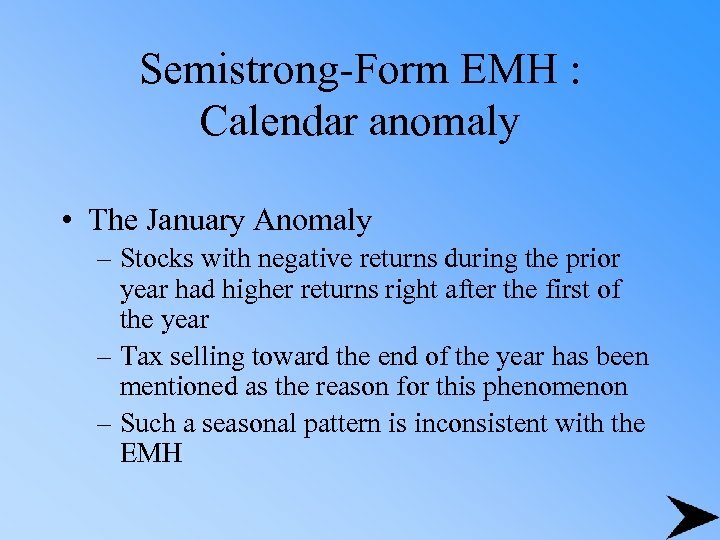 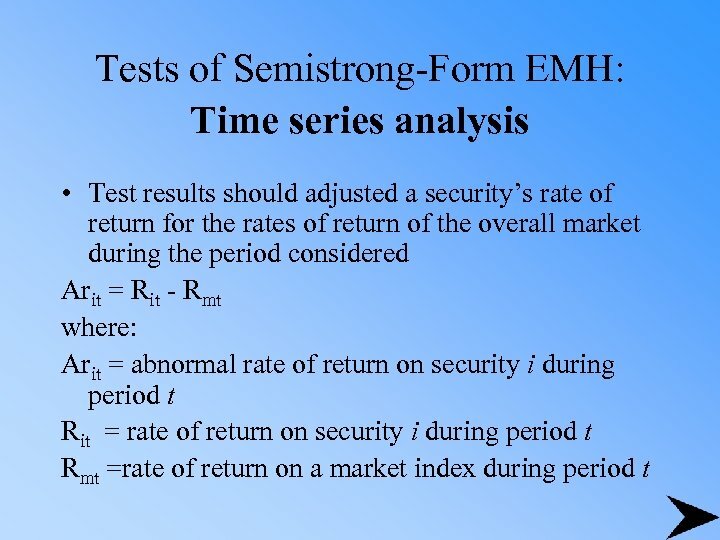 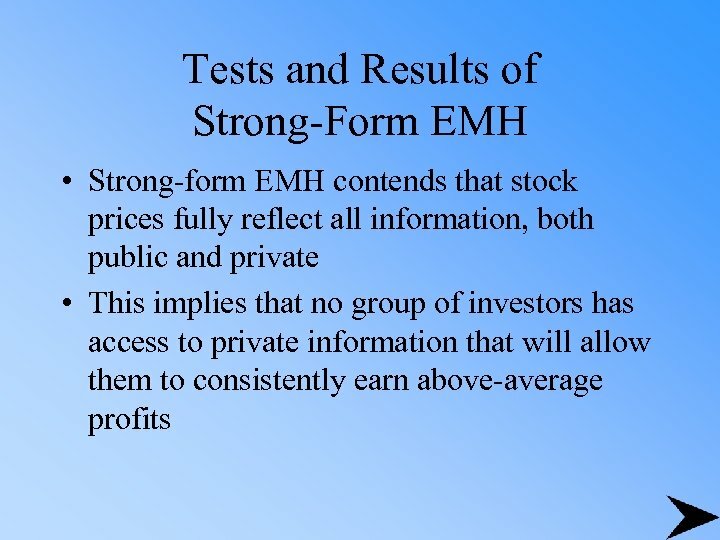 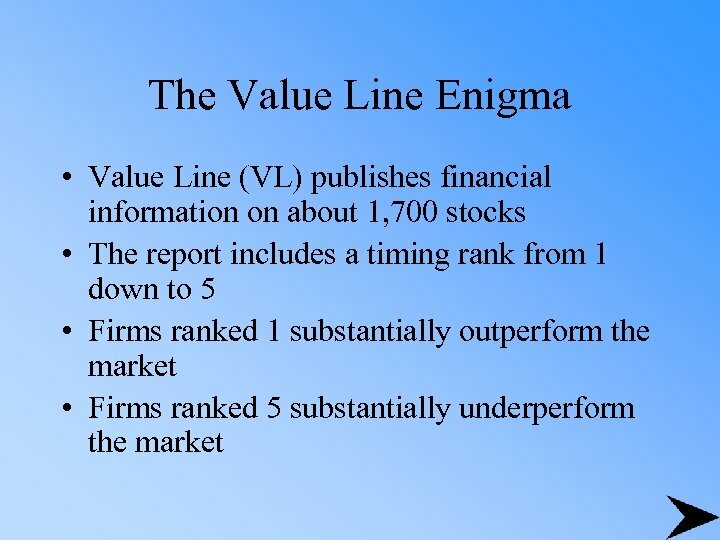 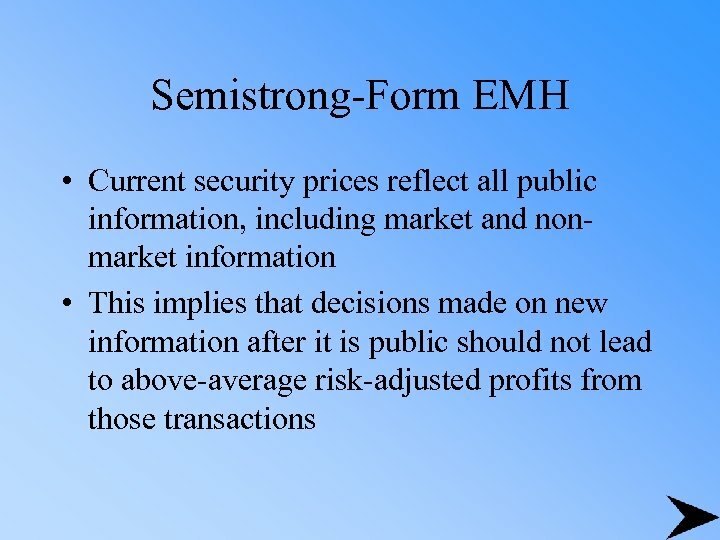 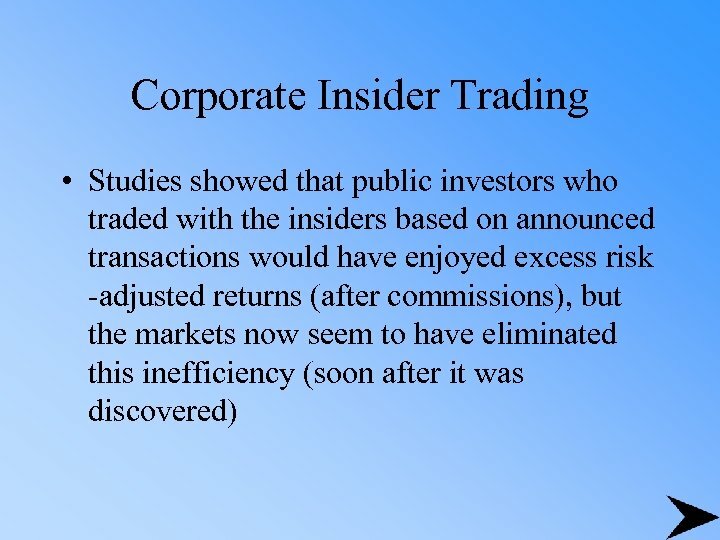 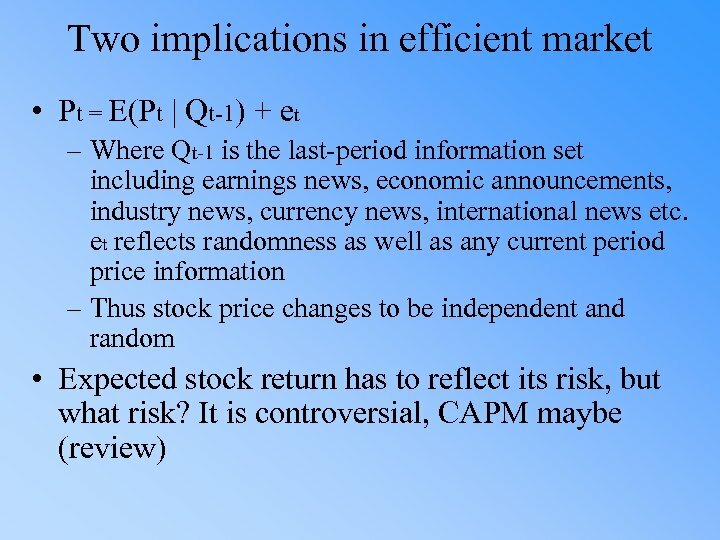 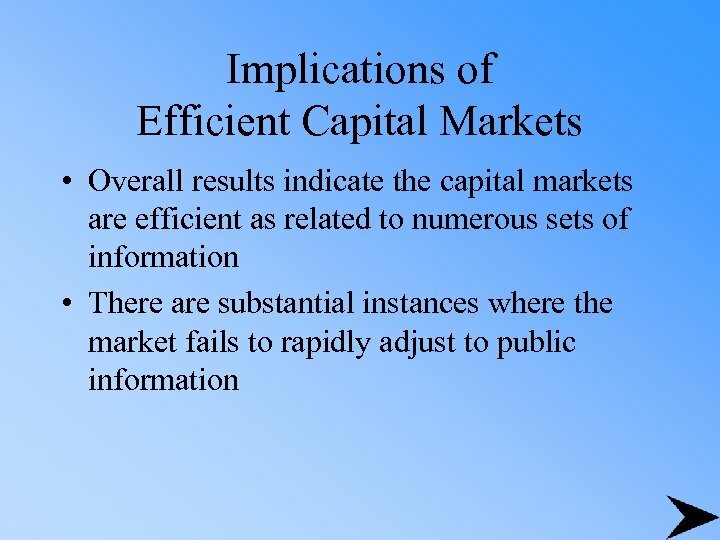 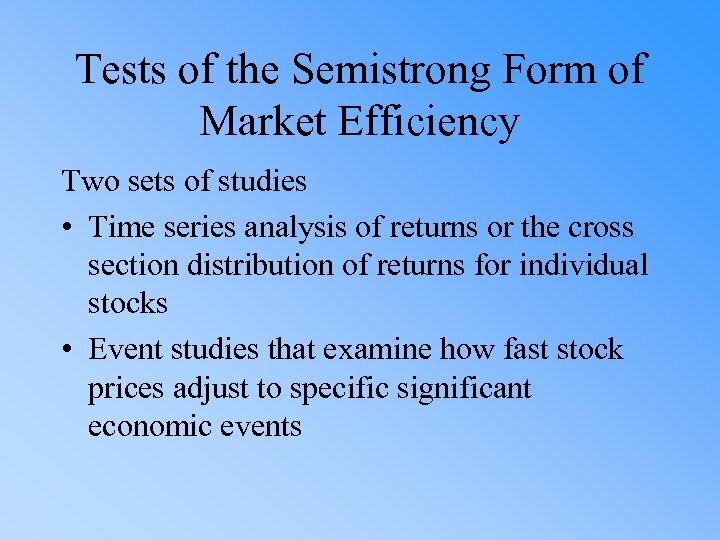 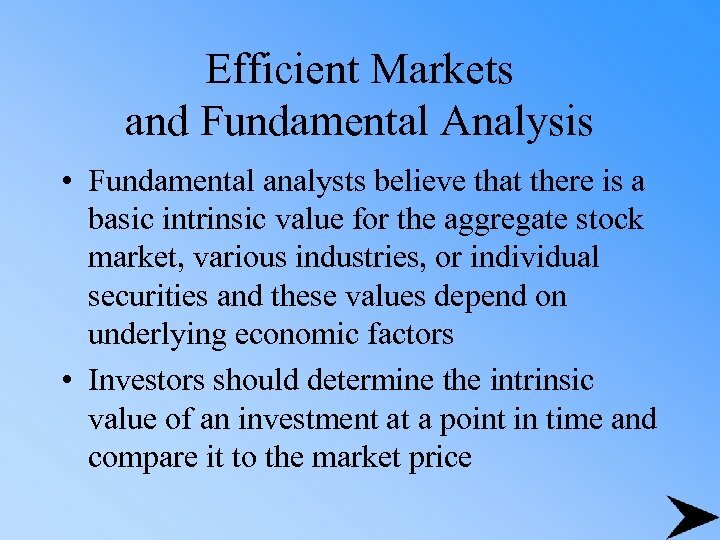 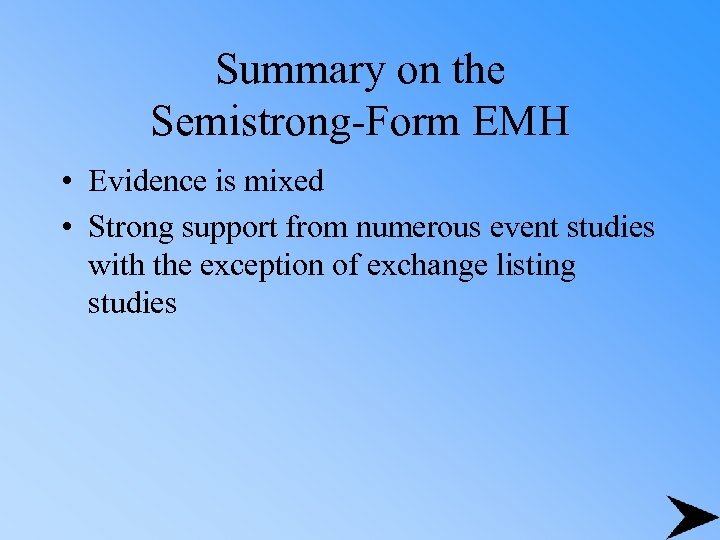 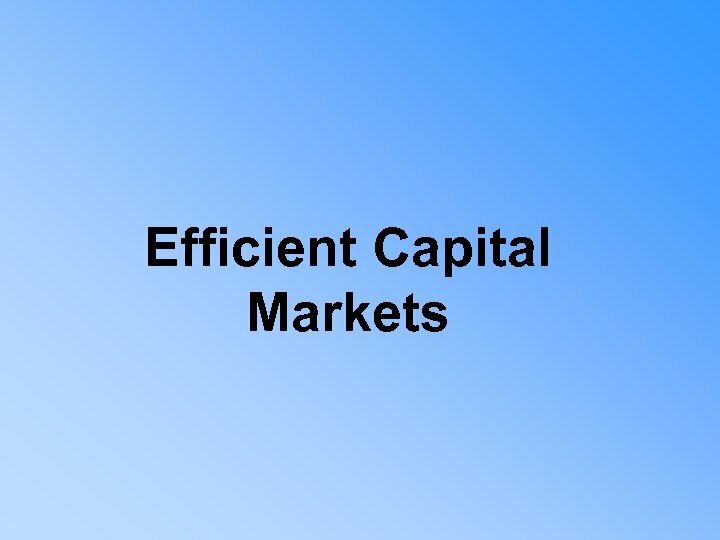 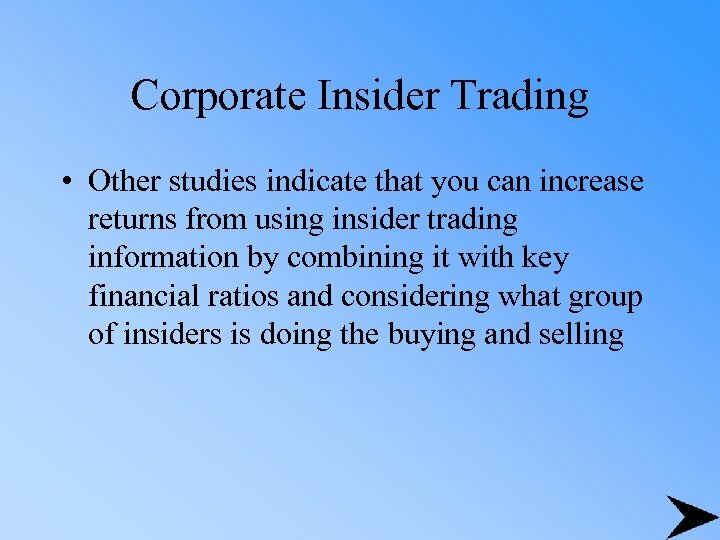 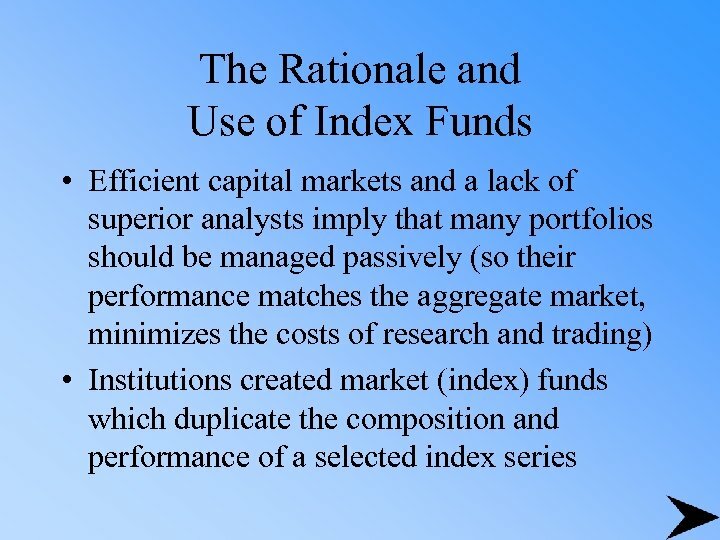 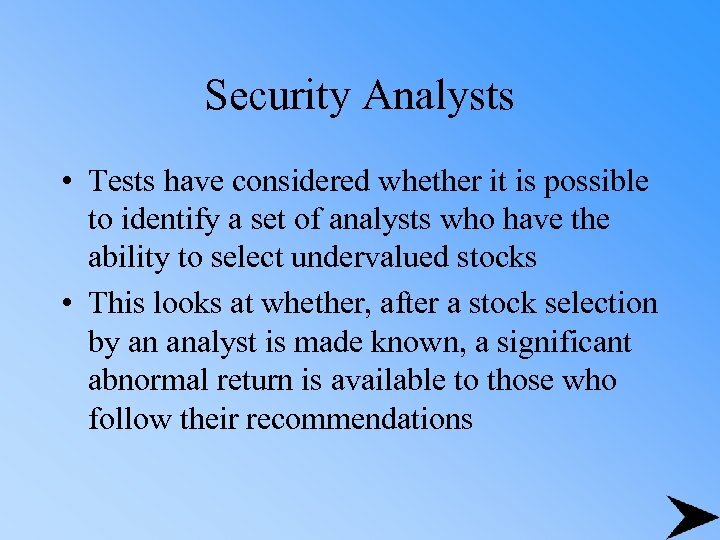 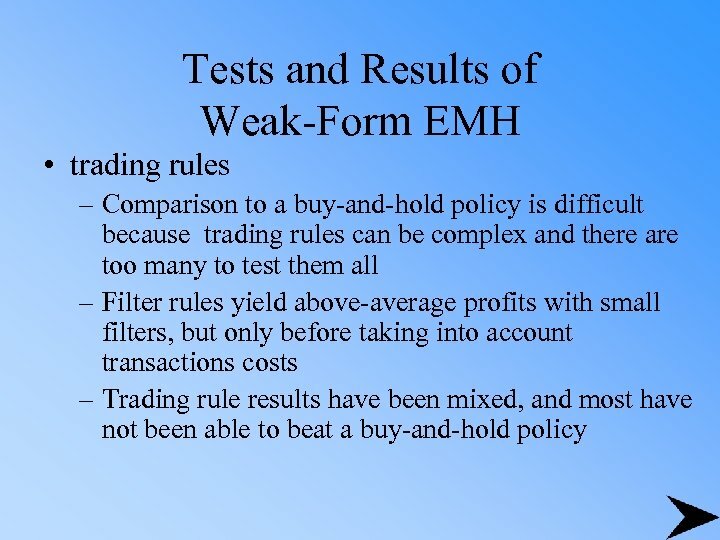 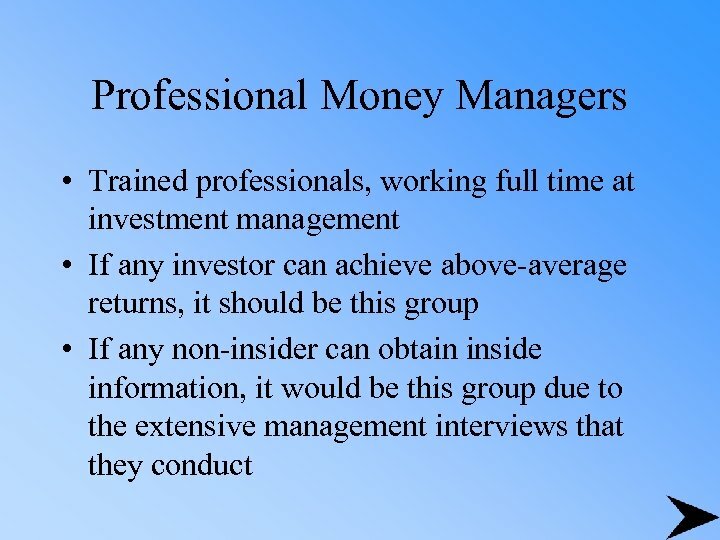 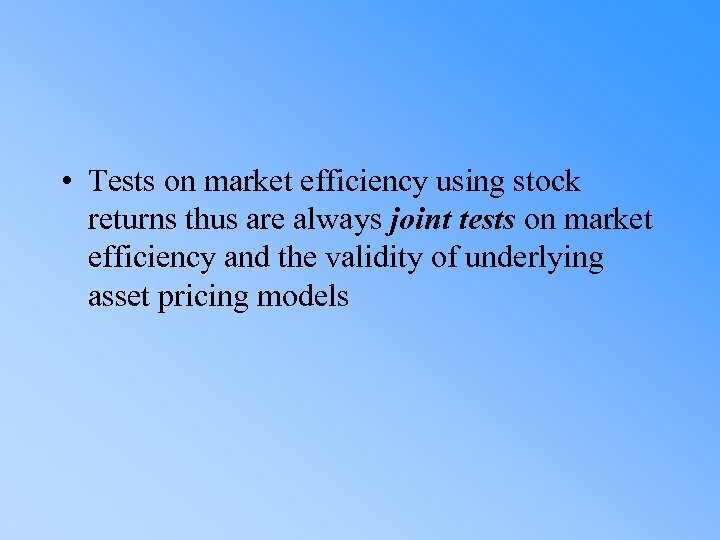 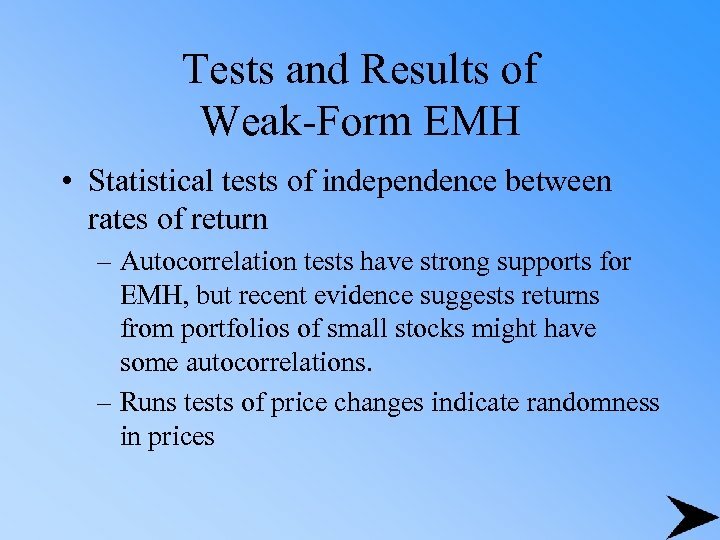 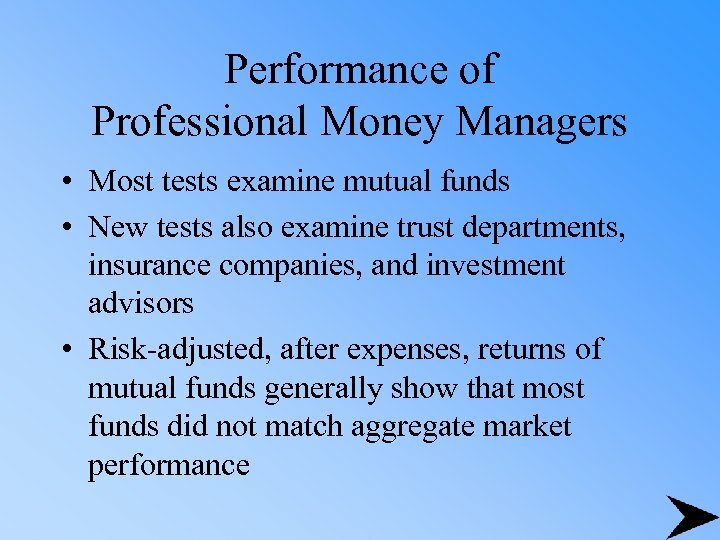 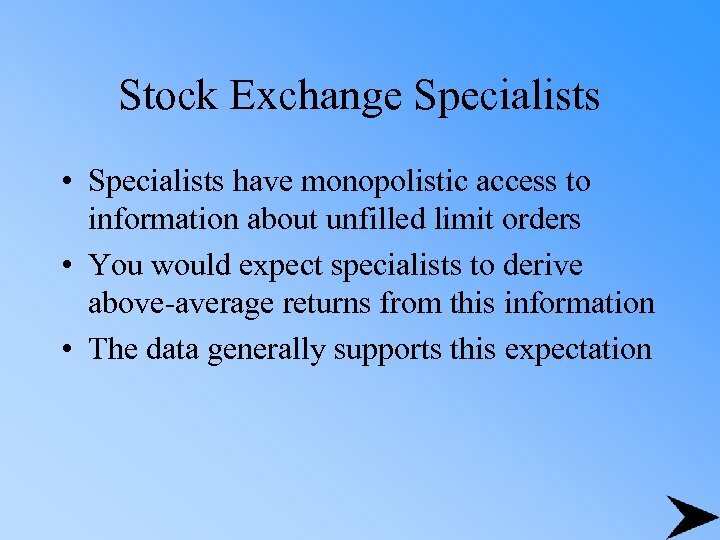 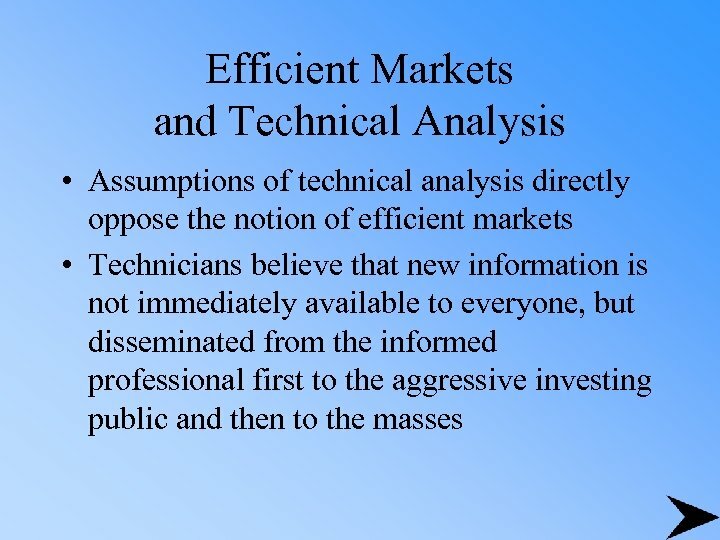 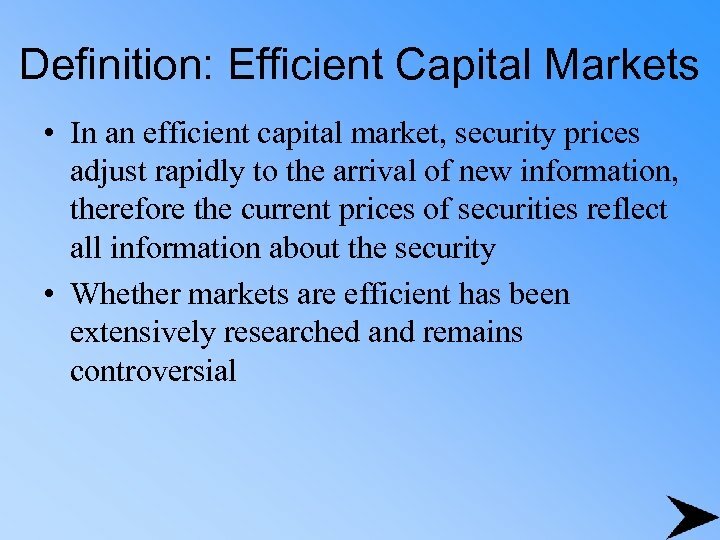 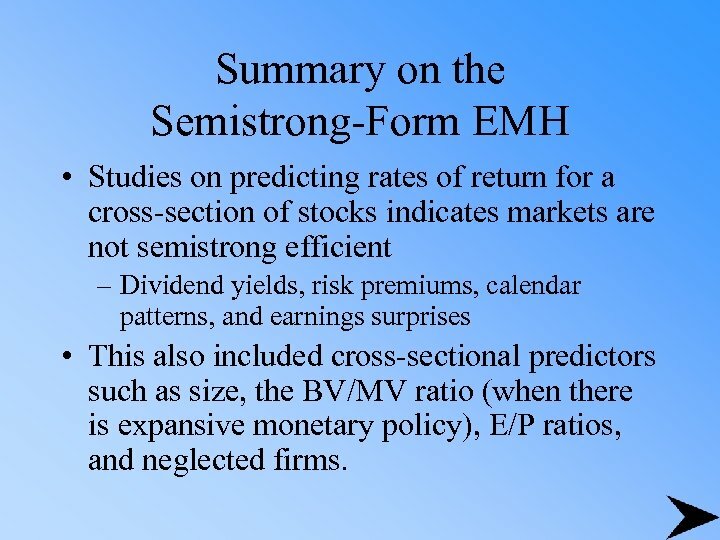 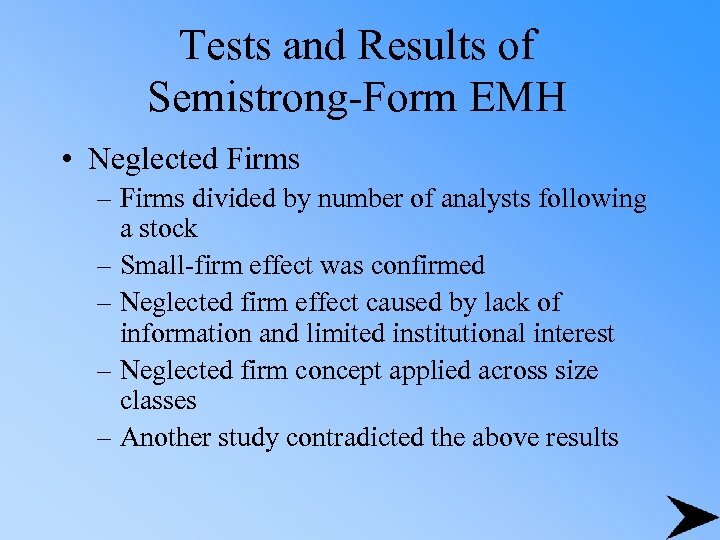 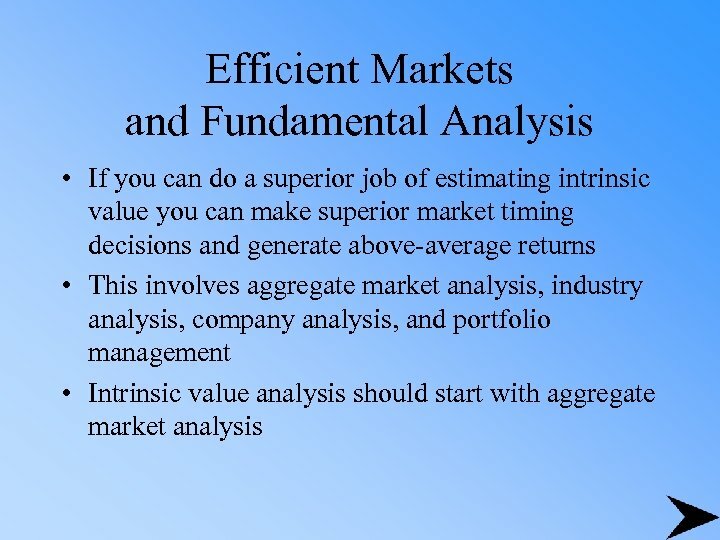 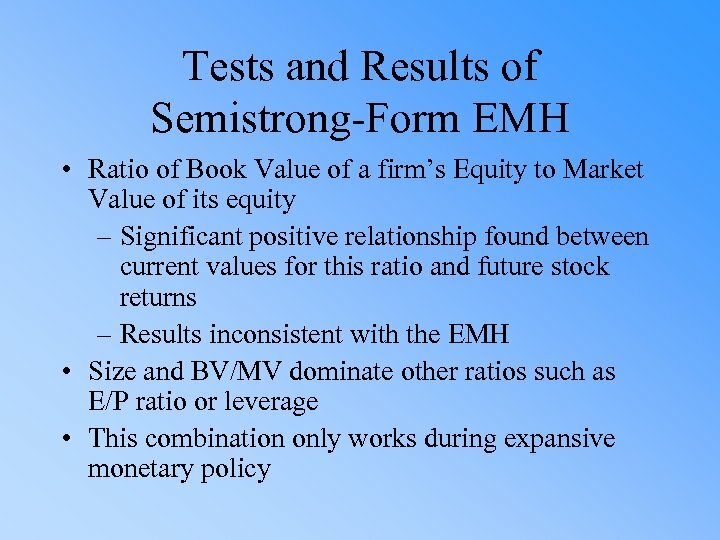 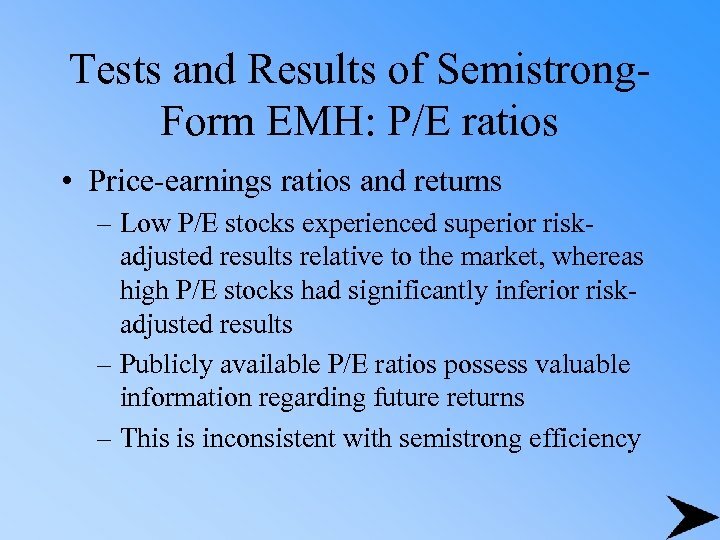 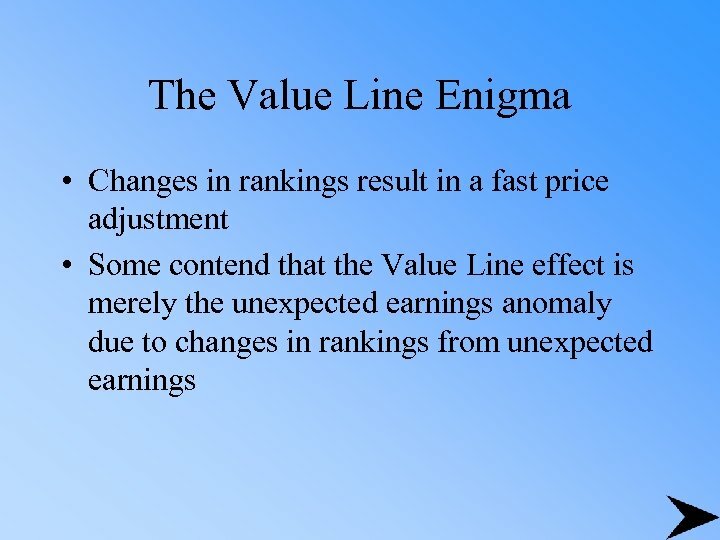 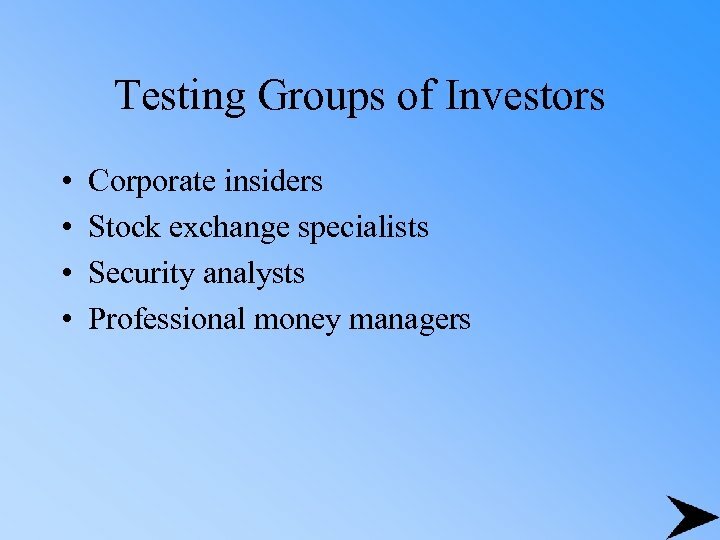 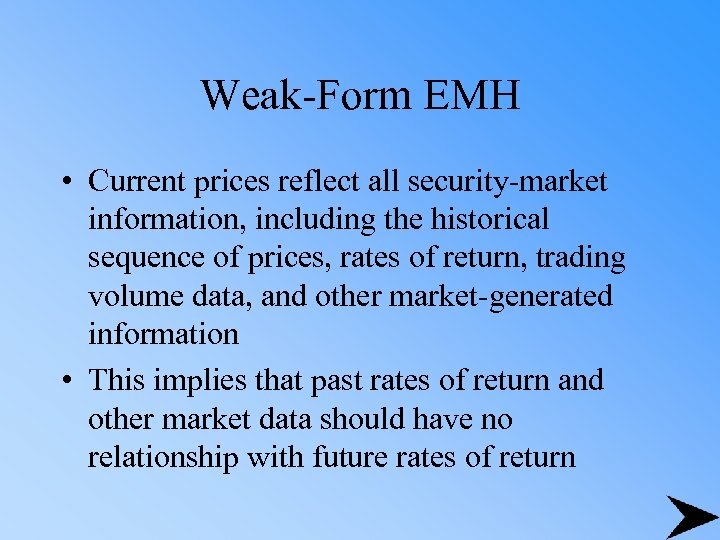 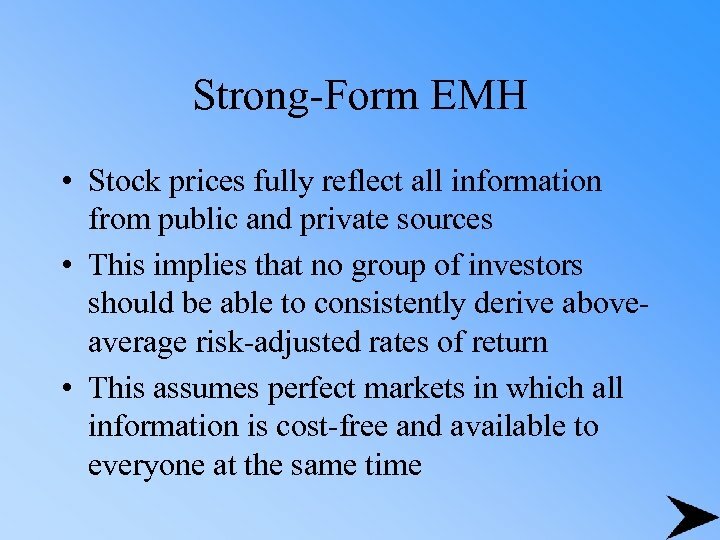 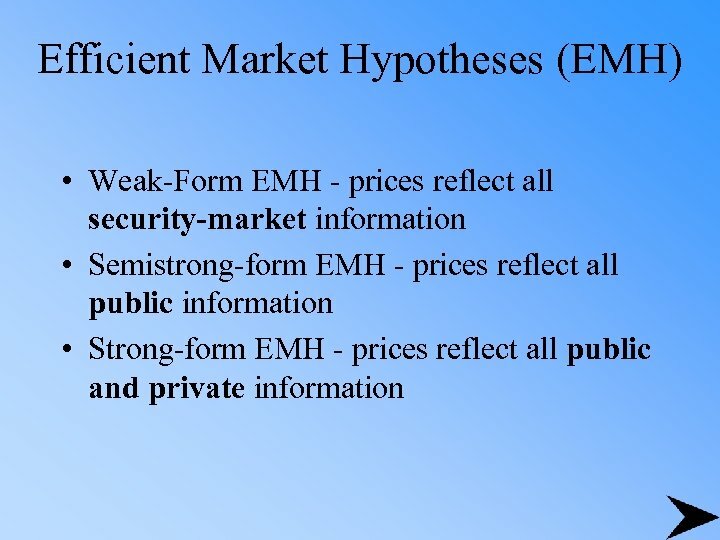 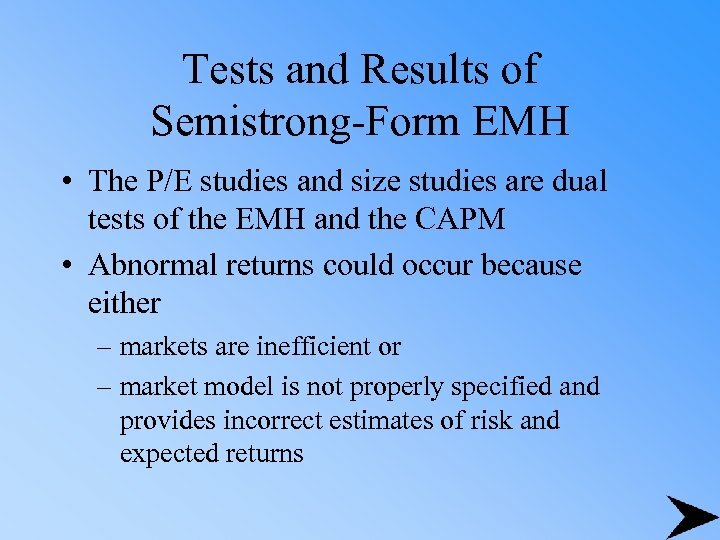 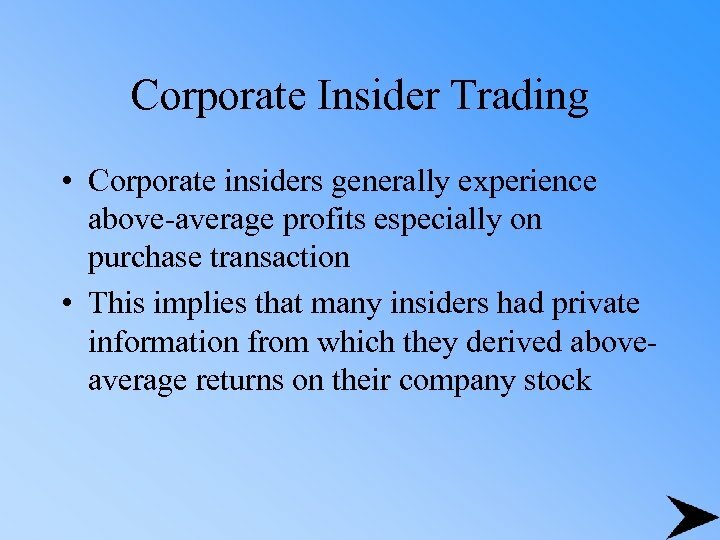 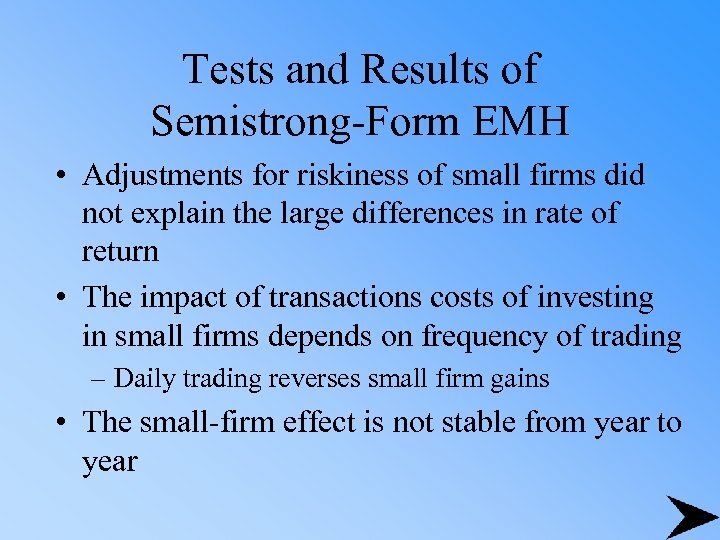 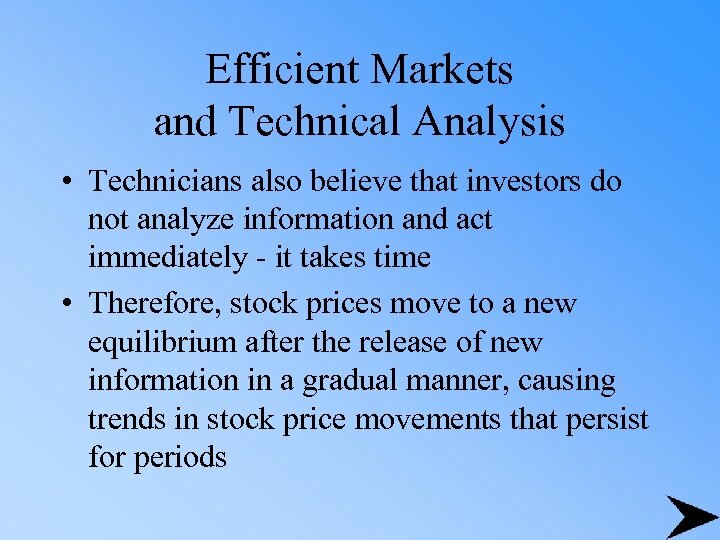 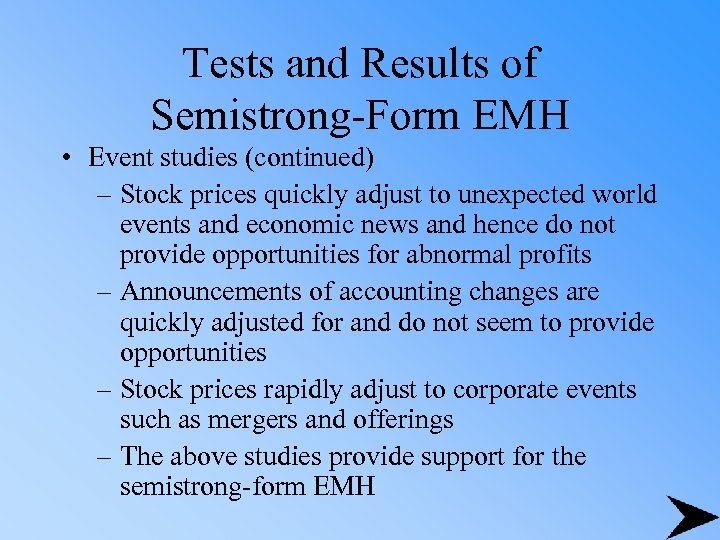 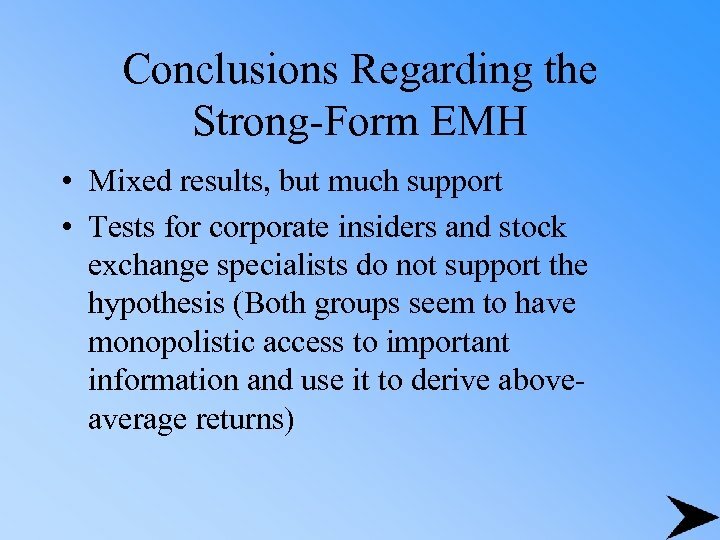 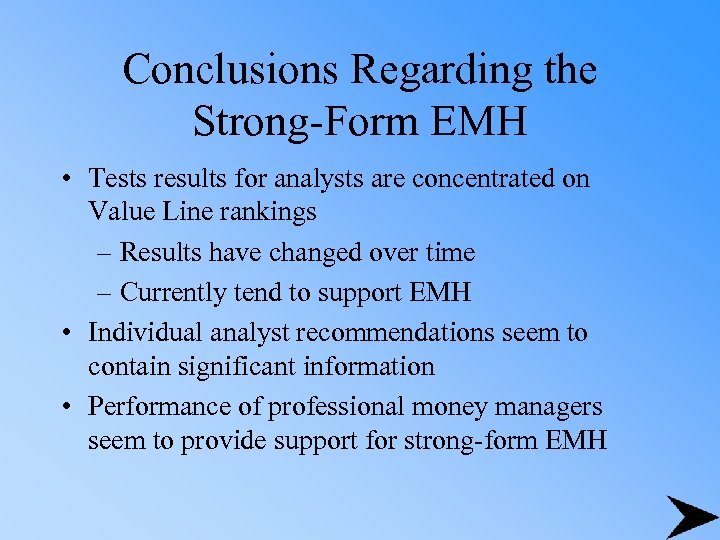 Summary on the Semistrong-Form EMH • Studies on predicting rates of return for a cross-section of stocks indicates markets are not semistrong efficient – Dividend yields, risk premiums, calendar patterns, and earnings surprises • This also included cross-sectional predictors such as size, the BV/MV ratio (when there is expansive monetary policy), E/P ratios, and neglected firms.